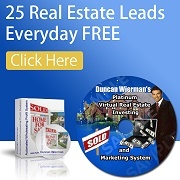 DuncanWierman.com My marketing system show you how to find more hungry buyers, motivated sellers and private lenders which in turn allows you to do more deals and make more money. 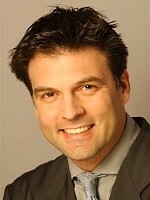 There are two ways that I can help you with your marketing efforts. The first is to work with you in order to develop a comprehensive marketing blueprint. One that entails both online and offline methods. In my marketing course, I work with you personally and examine what you are doing now for marketing, perform a needs analysis, and craft a marketing plan that will help you reach your business goals. The second way is to determine your specific needs to take your business to the next level, Such as: websites , or getting your website to page one of the Google search results page for your services, and getting you more motivated seller, hungry buyer and private money lender leads. I understand that initially I’m a total stranger to you. However, it is my goal to be your trusted marketing adviser and implementer. And to help you grow your business as much as you’d like. I work personally for my clients, and don’t consider myself successful unless my clients sees improved results from my efforts. My success is based solely upon your success. The bottom line is this: I can get your more leads and teach you how to do deals easier and faster then you are doing presently.